This category is for posts regarding the places I am traveling to. Paro, Bhutan – Entering the Land of the Thunder Dragon! In the native Bhutanese language of Dzongkha Bhutan is called Druk Yul which is translated as “Land of Thunder Dragon“. It got this name because of the intense thunderstorms that rushed through the valleys from the Himalayas. In those early days the booming thunder and lightning were thought to come from a dragon. 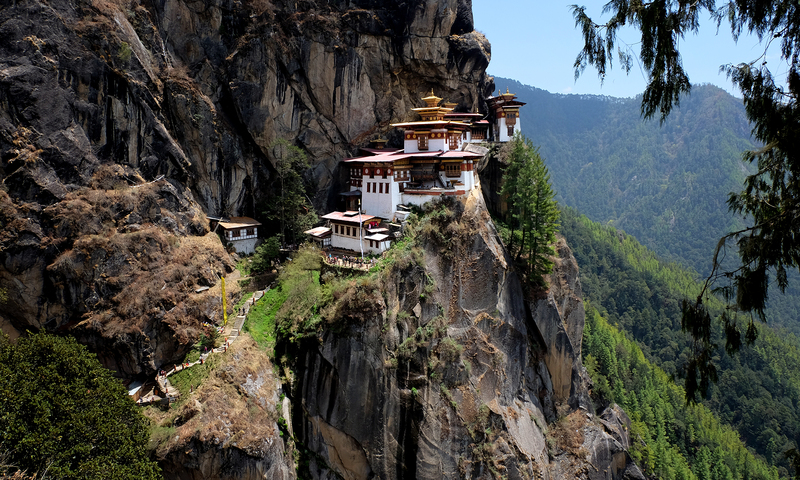 Bhutan has always been high on my bucket list of travel destinations. It’s a place of incredible landscapes, architecture, people, and food. It is also the only country in the world that has an index to measure their “Gross National Happiness“. How neat is that? I booked a private tour with Maebar Travel which enabled me to experience this beautiful country for 9 glorious days. The itinerary took me through Paro, Thimpu, Phobjikha, Wangdue and Punakha, and the newly opened Haa Valley. Rather than write a single GIANT article encompassing the entire trip, I’ve decided to break it up into a few articles about each place I visited.